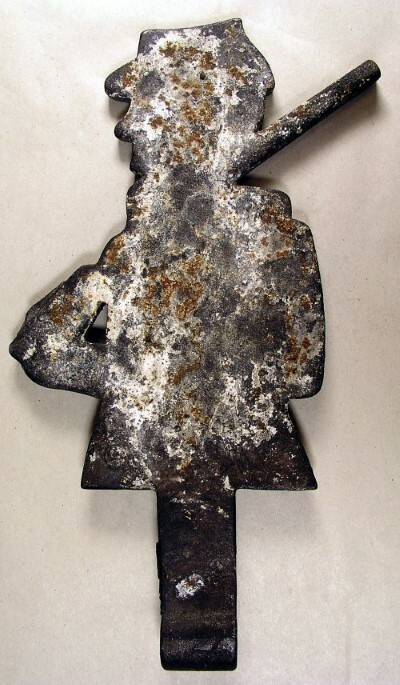 John D. Wahl Antiques - Cast Iron Soldier With Gun Shooting Gallery Target Made By A.J.Smith Co. 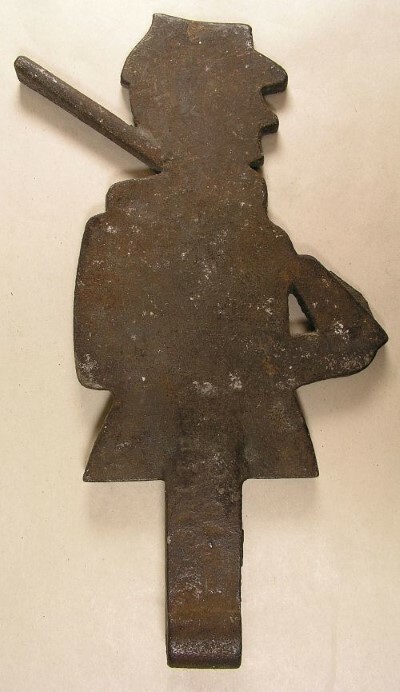 Cast Iron Soldier With Gun Shooting Gallery Target Made By A.J.Smith Co. 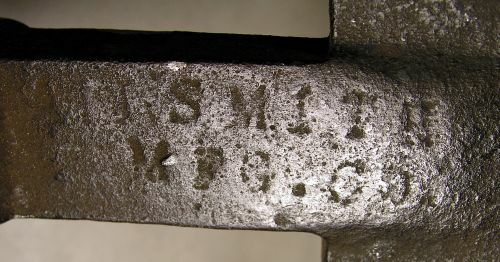 Cast Iron A.J.Smith Co. soldier shooting gallery target. Remains of white paint on one side and old surface on the other.